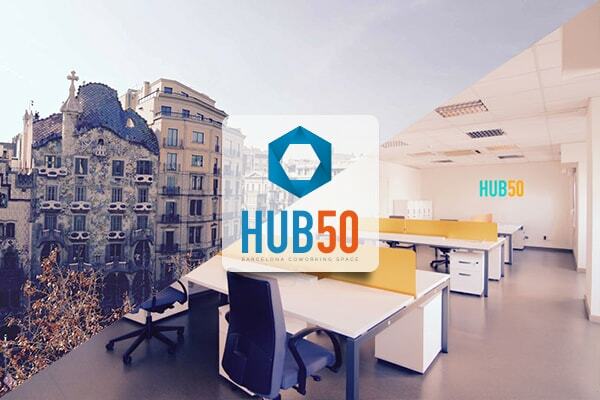 HUB50, the first coworking space located in Passeig de Gràcia has been just launched. The new space, which has started its activity during March, on the central avenue, opposite Gaudi’s Casa Batlló, offers 16 individual workspaces with three different types of fee: full-time, part-time and, for those seeking more flexibility, pass day. HUB50 also rents offices and meeting rooms for hours. Users will find at their disposal all kind of services in a modern and flexible workspace: meeting rooms, dinning room, wifi & ethernet, legal services and tax advice upon demand, printer, registered office in one of Barcelona best adressess , 24/7 security service and relax areas, among other amenities. You can check HUB50 website here and use their contact form for any request on availability or prices. 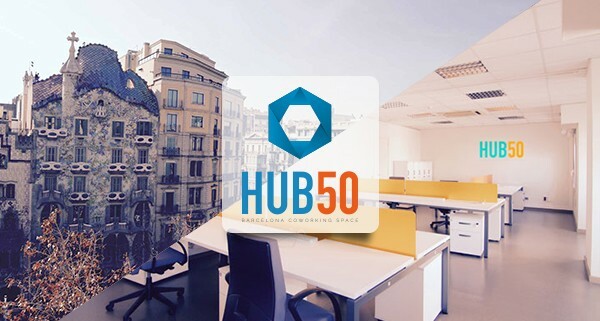 You can also send an email to info@hub50.es with further questions. If you request any service (full time or part time) at HUB50 before the 31st of March you get a 3 month 10% discount on the overall price.